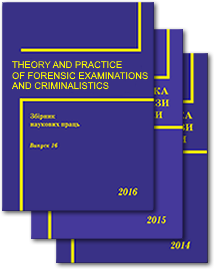 Emeritus Professor, Mykola Serhiiovych Bokarius – Ukrainian scientist from Kharkiv, forensic doctor and physician, the founder of forensic field, he made a great investment in developing of expert capacity of KhRIFE which was named for him, the founder of Scientific school of forensic studies, whose representatives have left their mark on the history of forensic studies but show their strong scientific capabilities now. In view of the above, remembrance of M. S. Bokarius is very important. In September 2016 the leaders of the KhRIFE decided to reproduce the office museum of M. S. Bokarius, to restore his wax figure and to add to his collection some items. Museum space consists of exposition hall with an area of 20 m2. Compared to 20.02.2017 the total number of exhibits is more than 1000 exhibiting samples. The principle of demonstration of exhibiting samples grouped together in thematic, stylistic and typological blocks as unique objects which forms the basis of design of the new exposition of office museum of the Emeritus Professor M. S. Bokarius. This decision provides a measure of importance every object in terms of style and contains focusing on its self-assessment. The scenario of inspection operates on spatial solution of exposition not only meaningfully (typology, theme, stylistic, chronology) but visually. The similar spatial solution of exposition allows museum to organize the excursions and special programs effectively and interesting. Expended annotations are applied to the most meaningful exhibiting examples. Due to highly interactive features the new exposition going to be more lively and to promote the creative dialog with visitors. 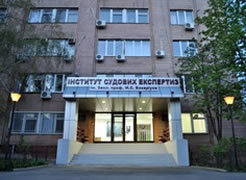 The museum does exploratory work maintaining relations with Bokarius’ family lineage and another people who keeps the statements about the history of the Institute. 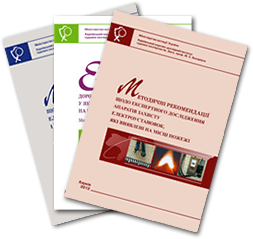 Office museum employee interact with the others museums, scientific libraries, universities and academic institutions of different cities of Ukraine and near and far abroad. The museum employees responds to the proposals of people who keeps the statements about the history of the KhRIFE, his director and employees with a big pleasure. Organized groups of scientific community, foreign institutions and students of law and medicine universities, visitors of the other institutions with pre-agreed applications are invited to visit the museum. The amount of visitors is not more then 10 people. Working hours of the office museum: Tue and Thu from 10 AM to 12AM. The head of the office museum is the lead research scientist, PhD in Juridical sciences, Associate Professor Filipenko Nataliia Yevhenivna.